As Kansas struggles to balance the budget for this year and the next, the state needs to prepare for future budgets by resolving the problem of spending. Click to open this visualization in a new window. Why is controlling spending important? The slow rate of growth of the Kansas economy has been a problem for years. 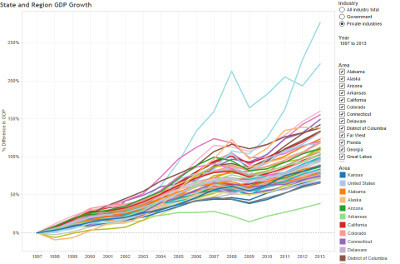 This interactive visualization lets you compare gross domestic product growth of Kansas with other states. Kansas has reduced income taxes, but Kansas has not reduced spending to match. There is pressure to balance future budgets with tax increases instead of spending cuts. 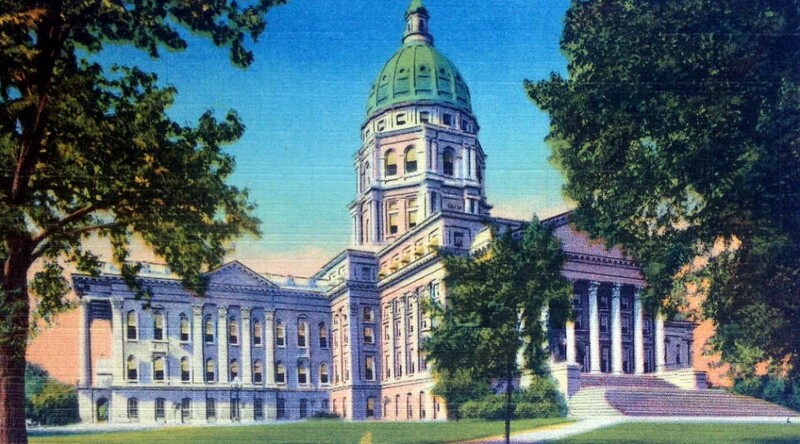 Because of the lagging performance of the Kansas economy, it’s important to reduce the footprint of state government to make room for the private sector economy to grow. Kansas Policy Institute has provided a plan for balancing the Kansas budget. It relies on structural changes and small improvements in efficiency. Kansas can balance its budget by improving the operations of, and reducing the cost of, state government. In 2011 the Kansas Legislature lost three opportunities to do just this. Three bills, each with this goal, were passed by the House of Representatives, but each failed to pass through the Senate, or had its contents stripped and replaced with different legislation. Each of these bills represents a lost opportunity for state government services to be streamlined, delivered more efficiently, or measured and managed. These goals, while always important, are now essential for the success of Kansas government and the state’s economy. There is no reason why these bills, or similar measures, could not be revived. The improvements these bills would foster will not balance next year’s budget. But they will set the stage for controlling the growth of Kansas government spending. This will leave more money in the private sector, which will help Kansas grow. This bill passed the House of Representatives by a nearly unanimous vote of 119 to 2. In the Senate, this bill was stripped of its content using the “gut-and-go” procedure and did not proceed intact to a vote. State workers and their supporters also argue that fewer state workers mean fewer people paying state and other taxes. Forgotten by them is the fact that the taxes taken to pay these workers means less economic activity and fewer jobs in the private sector.